Different parts of this plant contain a profile of important minerals and are a good source of protein, vitamins, beta-carotene, amino acids and various phenolics. 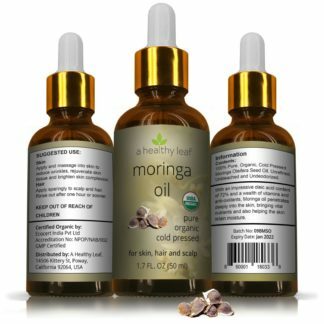 Moringa is scientifically proven to be a rich source of minerals vitamins as well as a wide range of amino acids essentially required by the body. The leaves of the tree alone contain vitamin A, C, and E, a complete plant protein as well as many minerals such as potassium. 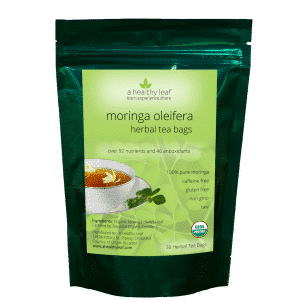 Moringa tea is thus a herbal tea that is sure to nourish the body with essential amino acids, vitamins as well as minerals. It is widely known that free radicals in body cells are responsible for oxidative stress that potentially leads to inflammation and degradation of body organs. 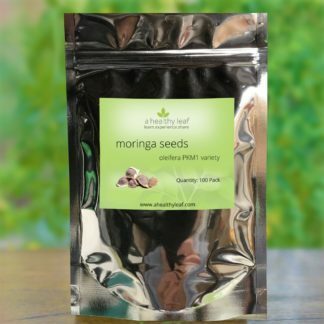 Thankfully edible Moringa tree parts such as the leaves and seed pods contain extremely high antioxidants levels. That a good thing since it’s a well established fact that antioxidants help eliminate free radicals from the body. Free radicals, when accumulated in the body cells cause what is known as oxidative stress. Oxidative stress in effect causes cell membrane damage as well as inflammation. Oxidative stress is brought about by an imbalance between the production of free radicals and the body’s ability to eliminate them or counter their harmful effects through neutralization. The body tries to neutralize free radicals with antioxidants naturally produced by the body but often your body needs extra help from a diet high in antioxidants. Since Moringa contains flavonoids, ascorbic acid, and polyphenols which are chemically identical to those produced by the body Moringa is a great source of these helpful antioxidants. In simpler terms, Moringa tea contains antioxidants that help eliminate the free radicals, thus offering relief to oxidative stress to the body. Tea, made from the leaves of the Moringa tree, has more effect at relieving oxidative stress than tea made from the seeds, bark, or flowers. Put simply, drinking Moringa tea helps keep body organs healthy due to the reduced negative effects of free radicals. The heart is termed as the engine of the body, thus of vital functionality. The health and optimal functionality of the cardiovascular system is paramount. 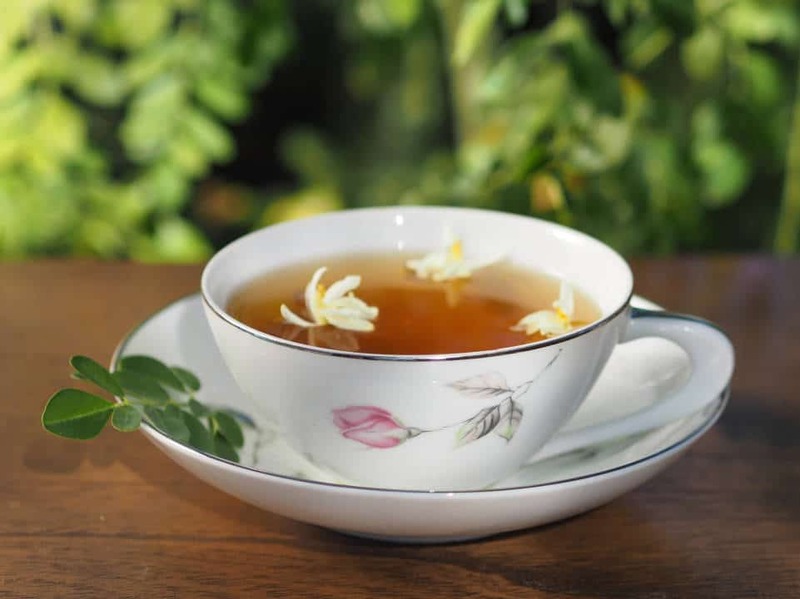 Intake of the tea has been proven to particularly aid in the control of blood lipids as well as in the prevention of plaque formation in the blood arteries. The therapeutic elements also combat cholesterol levels in the blood. 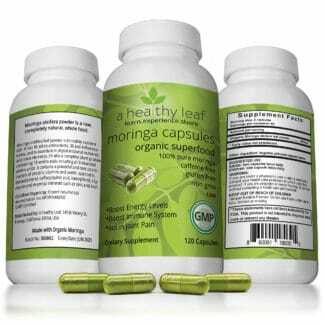 The high levels of polyphenols in the Moringa leaves, flowers, and seeds, when ground and used to brew tea, help in the protection and maintenance of the liver functionality. With polyphenols acting as antioxidants, the tea helps to reduce oxidation, toxicity as well as offering protection to the liver cells. The tea is also proven to restore liver enzymes to optimal levels. With the critical role of the liver being the body’s detoxifier and a metabolism powerhouse, the liver encounters many toxins. 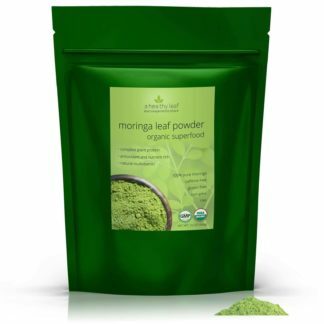 Moringa tea is beneficial in the keeping of the liver cells alive and well! EGCG (epigallocatechin-3-gallate) is one of the most powerful antioxidants ever discovered. Research from 2014 out of Indonesia  shows 3 grams of Moringa tea leaves brewed at 90 C in 200 ml of water contained 114 mg of EGCG. For comparison a cup of green tea, the most potent source of EGCG, has approximately 150 mg of EGCG. The study went on to test the effect of drinking Moringa tea on blood glucose levels. They gave 10 healthy individuals Moringa tea both after and before drinking a glucose solution. The results of the blood glucose score showed that the those that drank Moringa tea before the glucose solution had up to 16% lower blood glucose levels when compared to the control group. The group who drank Moringa tea after the glucose solution showed no significant difference in blood glucose levels. EGCG has also been shown in many laboratory studies to inhibit an enzyme required for cancer cell growth and also kill cancer cells with no ill effect on healthy cells. It’s obvious a cup of Moringa tea offers many health benefits! Consistently drinking a cup or two of Moringa tea is a great way to be proactive about your health. What are you waiting for? 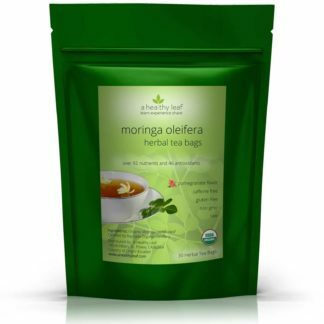 Try Moringa Tea for yourself today! Moringa tea has helped a lot. I get lots of energy and I've actually lost a few pounds. I've been eating healthy and gone for long walks to exercise but I was not losing the weight. I'm a 44 year old woman by the way. It has also helped me get up at night to the restroom less frequently. I've recommended it to two friends already and my sister. They all love it. We are enjoying this refreshing tea and find it needs nothing added to it. It tastes delicious and is a good 'pickup' any time of the day.